There is an iOS app from British Airways which will work on your iPhone, iPod, or iPad. Also, if you're a member of British Airways Executive Club, you can manage your profile, view your points balance, and more. 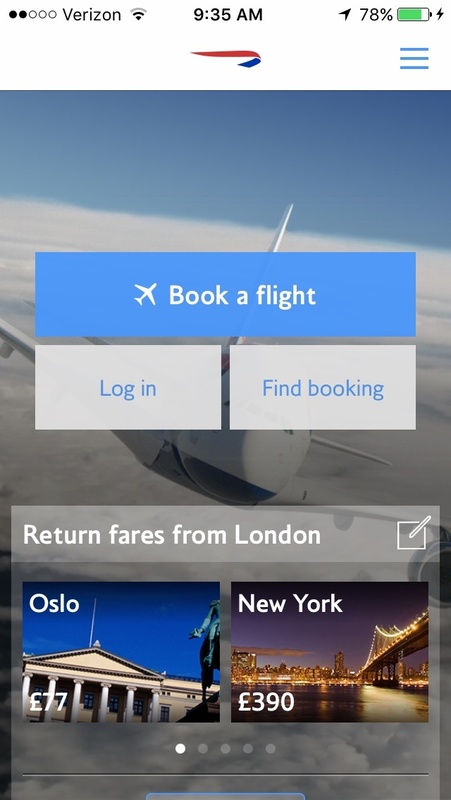 The Android apps from British Airways work with all Android phones and tablets from various manufacturers (Samsung, LG, Google, etc. ), and Android Wear watches might also be compatible. You can get the same stuff done on the Android app as you can on the iOS app for British Airways. Also take a look at British Airways's website by clicking here — you should be able to do what you need there.